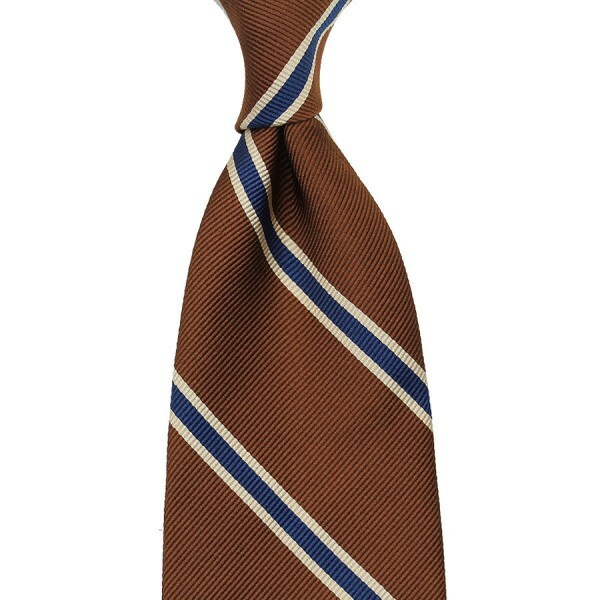 Product information "Repp Stripe Silk Tie - Copper / Navy - Handrolled"
Copper, cream and blue is a wonderful color combination, brought to life by a classic stripe pattern in silk repp. Wonderful with navy suits and jackets, but just as nice with beige or green. Related links to "Repp Stripe Silk Tie - Copper / Navy - Handrolled"